Unschooling is an amazing way to live life along side your kids, while giving academic freedom in your homeschool. Many parents worry, however, that unschooling might be too unorganized and too chaotic for their family. What about the parents who want their kids to be organized, intentional and purposeful in life, but want them to experience academic freedom, with zero ties to a set curriculum? How do those parents find the balance between unschooling and teaching the life skills of being intentional and purposeful? When I decided to unschool, I couldn’t find any resources that aligned with what I wanted for my kids. 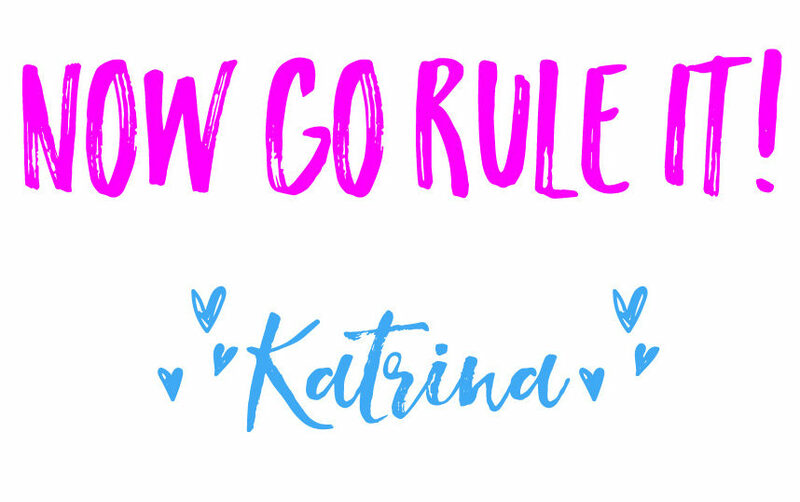 I couldn’t find resources that specifically talked about being intentional with your kids and unschooling. Though academic freedom is the main principle of unschooling, it seemed like the blogs and books I was reading led to a completely unstructured way of life, with no mention of teaching direction and intentional living. I decided to come up with my own intentional unschooling method. 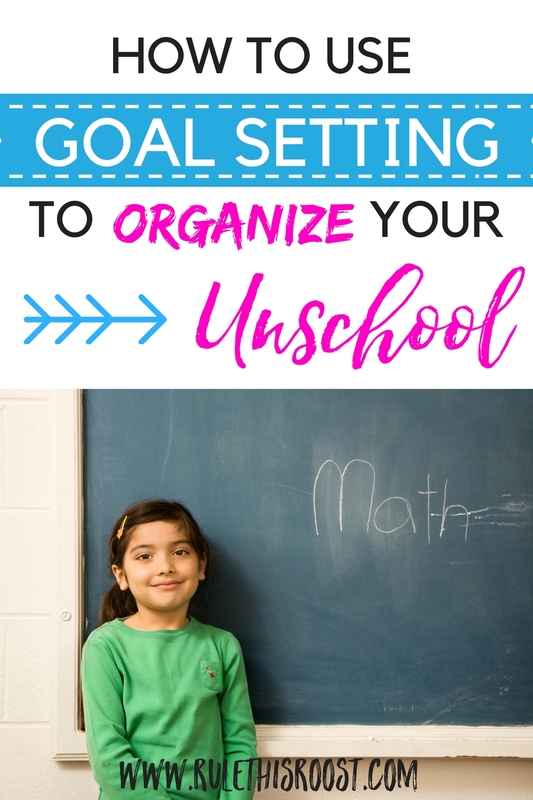 So, why and how should you use goal setting to organize your unschool? Unschooling is (in my opinion) one of the top ways to homeschool children. It has so many benefits and can be the answer to most homeschooling problems that families face. In the previous post of this series, we looked at what unschooling is and what it is not. Unschooling seems to have very little information surrounding it, and it’s important to know what it is before you start to set your goals. However, without intentional and purposeful planning, unschooling can feel chaotic and unorganized. Those are two things you don’t want your unschooling experience to be! Those are also two FEARS that keep families from pursuing unschooling. Goal setting while unschooling is a great way for you to feel less stressed and teach your kids an important life skill. When you model and teach goal setting, you are not only teaching your kids how to be intentional and purposeful in life, but also laying the foundation for organized and successful days full of learning. Unschooling should never mean that your household becomes a free-for-all with zero purpose. Before you set goals, you have to have a vision for your unschool and your family. What future dreams do you have for your family while you are unschooling? It can be anything from traveling the world, to spending more time together. Answering the question: “Why do we unschool?”, might give you more ideas as to what your vision truly is. Your vision needs to be written down some place (a vision board works great!) where you can be reminded of it daily. Sit down with your family and write down their family visions as well. This helps get everyone on the same page and excited about goal setting! There are two different goals that you can set for your unschool and family: Long-term and short-term goals. Setting long-term goals is different than your vision in that a goal is something you can be more specific about. If your vision is to travel the world as a family, then a long-term goal would be to travel to five different countries within 2 years. A short-term goal to go with traveling might be to start saving money for your trip, or to hire a travel agent. Goal setting in this way will help you organize your unschool so that you know which way to lead your family. Sharing your long-term and short-term goals with your kids is important, as it models goal setting and will help them see the importance of it. A child’s goals are going to look much different than an adult’s goals. The process of goal setting will also look completely different. That is OKAY! It should be! When you introduce goal setting to your children, your definition of what a goal is doesn’t have to be super in depth for younger kids. It could be phrased as “What do you want to do today?”. What do they want to do? Where do they want to go? What do they want to learn about? They might say “Find an earthworm.” That’s perfect! Write it down and then reflect back on it at the end of the day! Kids under 5 (and this age may vary), should be verbalizing their goals to you for you to write down. Display goals somewhere that can be seen in your home. This is helpful for you and your kids! As a part of your unschooling method, you can encourage your older kids to set both long-term and short-term goals. Younger kids might have a harder time setting long-term goals, since the idea of the future is such an abstract concept. As kids get older, their time frame for short-term goals may expand. For an older child, their short-term goal might include their week-long plan of how they are going to build their own computer. 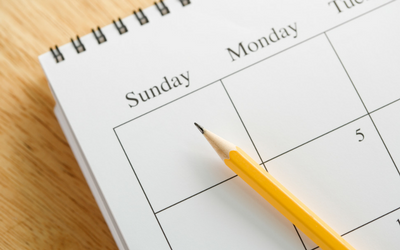 Short-term goals could even stretch out over a month’s time. This is totally dependent on the child. Don’t worry about the time frame specifics. Your kids just need to know what goals are and how to set them! Setting goals is an important part of unschooling. Teaching your kids how to be intentional and purposeful through goal setting is something that they will carry with them throughout their lives. Not only can goal setting help your kids achieve what they want to do, but it can also help you to be more organized and intentional during your unschooling journey. To learn more about how to organize your unschool, check out the next posts in this 5 posts in 5 days series!